Since I’ve spent the better part of the last 20 years developing and designing stuff on the Internet, I’m painfully familiar with having to clear my cache and refresh my browser window. 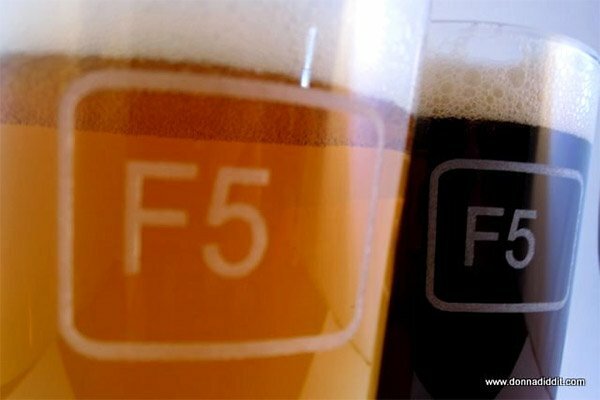 In fact, the F5 key on my old Windows machine is worn down to a nub at this point. 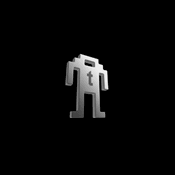 I’ve got a Mac as my main work machine these days, so “Command-R” has become my new best friend. 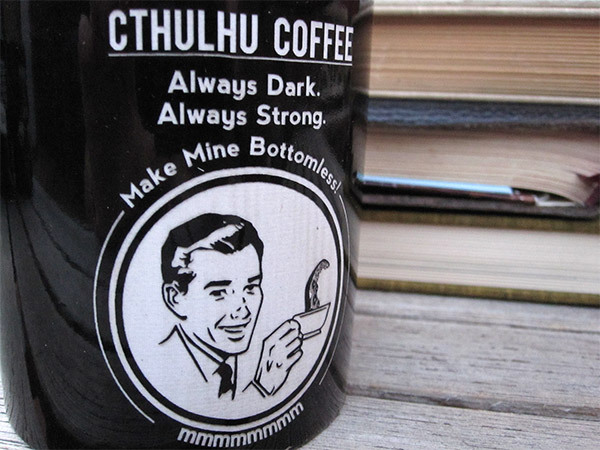 Even though these tumblers aren’t Mac compatible, I still like ’em. These 14oz. 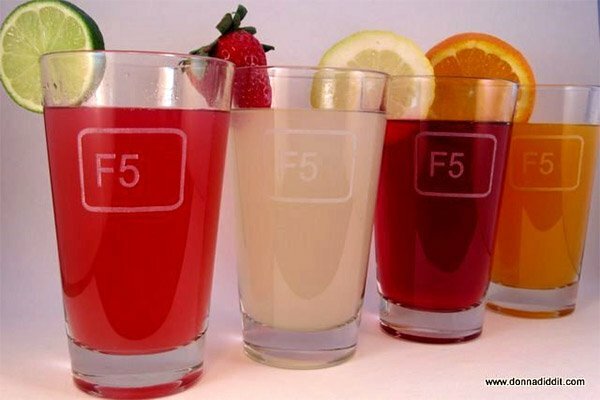 glass tumblers have been etched with the all-too-familiar “F5” key, as a precursor to the refreshing beverage you’re about to enjoy. They’re made by Denver artist Donna Diddit, who says she can also make them as coffee mugs or aluminum water bottles.